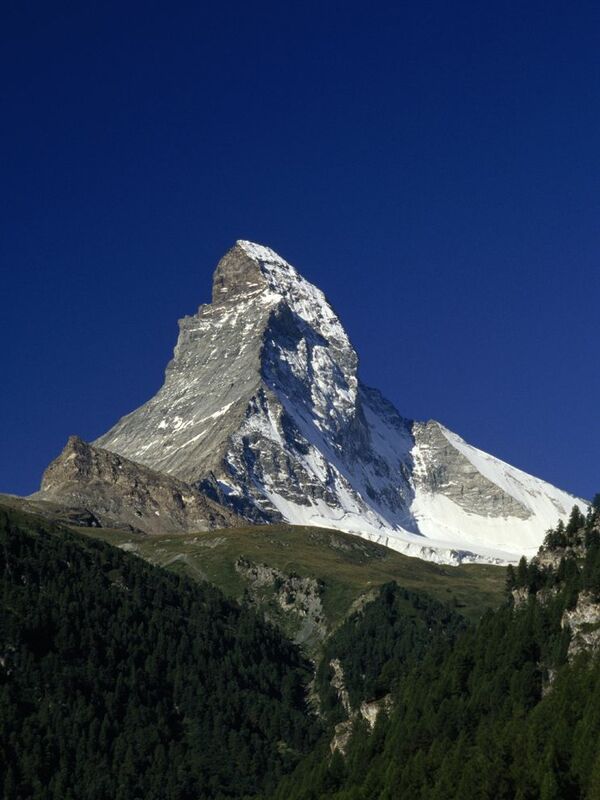 The Matterhorn, part of the Alps in Switzerland, is a glacial horn. A horn is formed as three or more glaciers meet, forcing the land between them up into a peak. In fact, another name for a horn is a pyramidal peak.